If you have a 3 Life Path, your favorite relationships in the past have probably been 5s and 7s. The adaptable, daring and adventurous 5 suits your need for unpredictability and adventure, while the quiet, introverted, and often mystical 7 adds depth and appreciation to your life experience. In fact, of all the number combinations that tend to get along well and actually complement and elevate each other the 3 and 7 take the prize. The solid, practical, trustworthy 4, on the other hand, should be avoided even though its qualities would serve the relationship well (a bit of grounding wouldn’t harm you). But when the 3 and 4 are together they seem to draw the worst from each other. While you might initially be attracted to the authoritative and physically impressive 8, they can be highly critical - even with you. And although the 1 can be equally critical and domineering, for some reason it gets away with it and the two of you will likely get along very well. The always forgiving and intuitive 2 can be an excellent fit too, and usually results in a lasting, harmonious relationship. The 6, normally the most harmonious of all numbers, does not thrive well in the company of a 3, and vice versa. 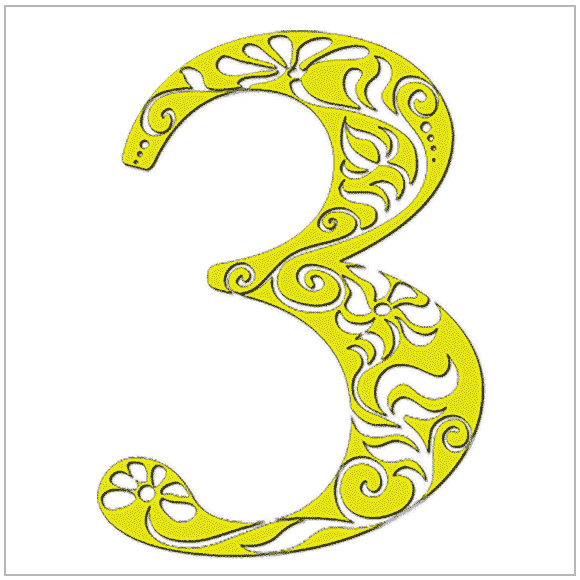 This is mostly due to the frivolous and undisciplined nature of the 3. This lack of focus and discipline is also the reason you should avoid a relationship with another 3.